The weight of the featured Road Racer is 23 lbs, yet the back cover shows Finest weighed 22 lbs. It's Newest that weighed 23 lbs. Maybe the weight difference is the difference between factory data and the road tester's findings. 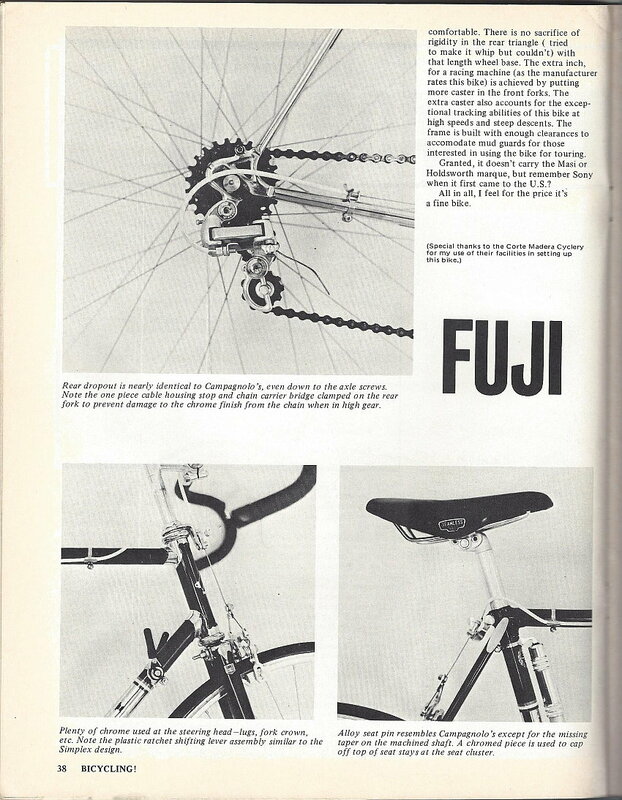 In an article not shown in this post, the 1972 Fuji Newest listed price was $390 and the 1972 Fuji Finest listed price was $290. 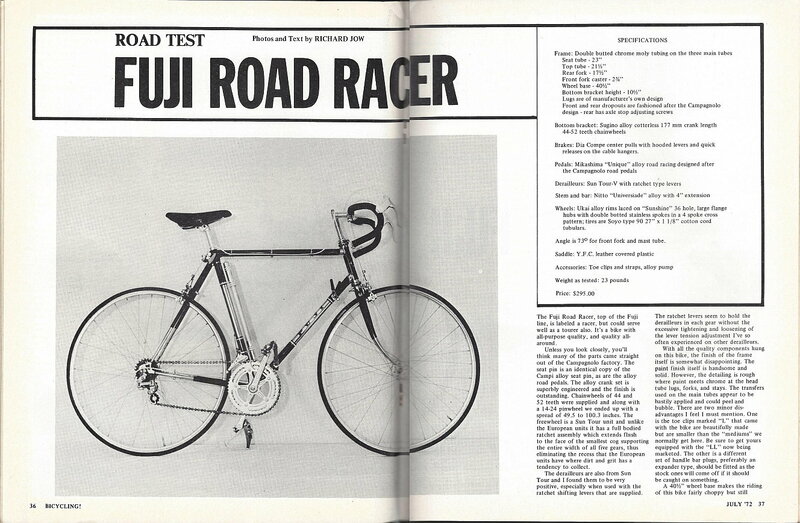 The list price of the featured Road Racer was $295 -- consistent with Finest. At this point, I'm not even convinced the bike shown is the one they road tested, or that there wasn't some mix up in prices, weights, etc. Maybe this is one of those Lost in Translation moments. Whatever...it's presented as published. There were no errors or omissions published in the next 3 months issues that followed. 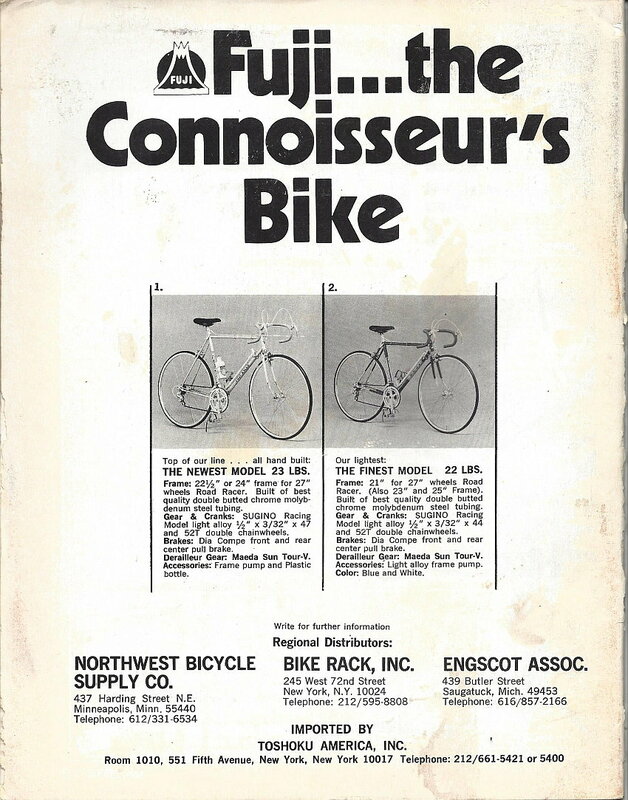 PDF attached below, but does not include the Back Cover ad for Fuji Road Racers, The Newest and The Finest.